See it as soon as you can. Take your kids. Take your parents. Take your conservative and religious friends who likely already believe its message. Take your liberal and secular friends who may need more convincing. It is truly a film everyone should experience. At the end of the two hours, if you feel you would have been better served enduring endless fart jokes next door in “Tammy,” I will personally reimburse your eleven dollars and buy you a new bag of popcorn. Scratch that last. I’m a teacher trying to get through the lean months of summer, and do not have the funds to make this guarantee. But you get the idea. People who know me might assume that I have always been a church-going, dyed-in-the-wool Republican, but this could not be further from the truth. When I was sixteen I read Bertrand Russell’s Why I Am Not a Christian and the equally anti-Christian Atlas Shrugged by Ayn Rand, swallowing them hook, line, and sinker. When I was eighteen, my dad told me he would cut me off financially if I paid to see Michael Moore’s Fahrenheit 9/11. I went anyway. I have always thought that if you are going to believe something, you should not be afraid to hear the other side’s best arguments. If your deeply-held convictions fall apart at the slightest challenge, then they could not have been that solid to begin with. Sometimes in order to believe, we must first doubt. We don’t gain anything from echo chambers. We need to engage head-on with the other side, which is why I have so much admiration for Dinesh D’Souza. I even feel a sort of begrudging respect for Bill Ayers for at least engaging D’Souza in open debates, most recently on Fox News with Megyn Kelly. At least liberal professors are not afraid to say what they really mean and what they intend to do, unlike liberal politicians. There is an old saying that familiarity breeds contempt. An immigrant himself, D’Souza is the perfect person to answer America’s critics. He does not have to imagine a world without America; he has lived in one. 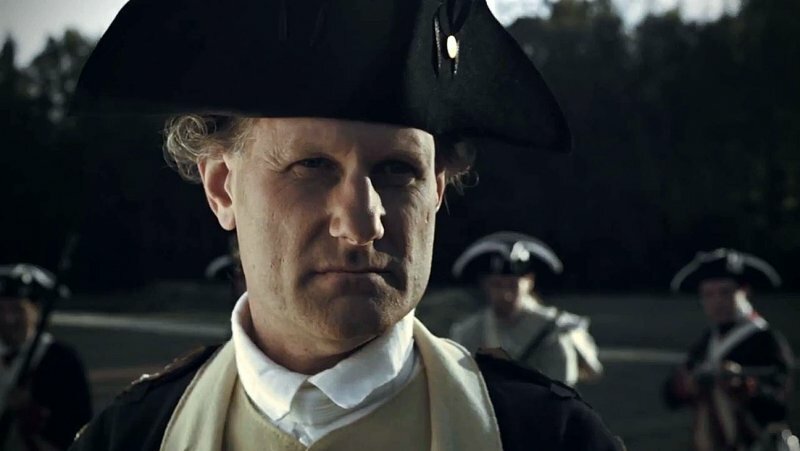 D’Souza begins with a hypothetical scenario almost too possible to contemplate: What if George Washington had been hit by a sniper’s bullet and the Revolution had died with him? Would the world be a better or worse place for America’s absence? We stole the land from the Native Americans. We stole half of Mexico in the Mexican-American War. We stole the labor of the Africans through slavery. We steal the resources of foreign nations through our imperialistic misadventures. We steal from our own people through the greed of our capitalist economy. Basically, America is a country built on theft. As Michelle Obama said, we are “downright mean.” We are not one nation of free men and women, but rather a system of victims and victimizers, oppressors and oppressed. These stories are told by people like Howard Zinn to make us feel shame for our country’s sins, not pride in her virtues. This shame has a purpose—to win our consent in the progressive’s dream to re-make America (to “fundamentally transform America,” as Obama has said), instead of trying to restore her core values of faith and industriousness. I will leave it to the film to articulate these ideas, and to D’Souza to convince you that they are oversimplified and misleading. Of course America has made mistakes. We are just as prone to greed and folly as anyone. The difference is our commitment to the idea that in America, “you write the script to your own life.” As Bono notes, we are the only nation that is also an idea. This freedom to chart your own course is the essence of the American Dream and the reason we remain the hope for the world. Critics may accuse D’Souza of whitewashing the darker chapters in American history, but this is not the case. He simply puts them in their proper historical context. Throughout world history, most states and empires have gained their wealth though conquest and plunder. Look at the Vikings, the Mongols, and the Islamic caliphates. Slavery is, unfortunately, as old as civilization itself, and greed as old as humanity. The Native Americans took each other’s land through territorial conflicts for centuries before we arrived, killing and enslaving as they went. 3,500 free blacks in the South owned over 10,000 slaves. While many other countries had slaves, we were the only one to fight a war to end it. Instead of plundering their resources, we lost thousands of lives and billions of dollars in Vietnam, Iraq, and Afghanistan to give others a chance at freedom (as well as try to advance what we thought were our self-interests). Our capitalist system has enriched the lives of not just our own citizens, but lifted millions out of poverty in India and China. None of this is said to excuse or minimize the atrocities in our past. America is not perfect. Like every other nation, we have our faults and we have made our fair share of mistakes. The difference is that our Founding Fathers created a framework in the Declaration of Independence that could be used over time to remedy these faults, bringing our actions ever more in line with our ideals. Despite our imperfections, millions continue to come to our country each year, crossing oceans and risking everything to seek their chance at the American Dream. In what other nation could Frederick Douglass, born a slave, meet with the President of the United States? In what other nation could Madame C.J. 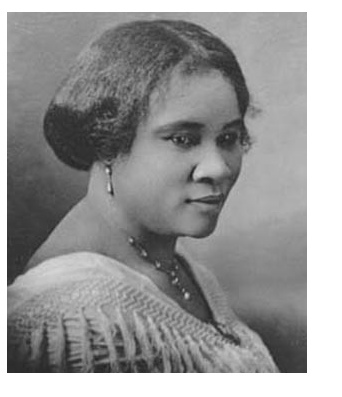 Walker, the child of former slaves, become the first self-made female millionaire? Every year when I teach nationalism, I start by asking how many of my students (10th graders) are proud to be American. Usually about half raise their hands. Many have already accepted the lie that America is no more exceptional than any other nation, and that the United States is synonymous with stupidity and greed. This revisionist history cannot continue to be pushed without severe political and cultural consequences. 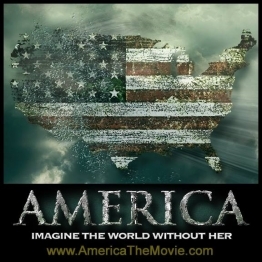 See this movie to celebrate America’s greatness, but more importantly to remember what is at stake. You won’t be sorry you did. O say does that star-spangled banner yet wave, O’er the land of the free and the home of the brave?